Links between organised crime and terrorism, how to handle people returning from conflict zones, de-radicalisation and the need for a common definition of terrorism and means to prove terrorist intent were among the issues raised in the Civil Liberties Committee’s “foreign fighters” debate with Eurojust President Michèle Coninsx on Wednesday. On Thursday MEPs will debate plans for external border checks on EU citizens. 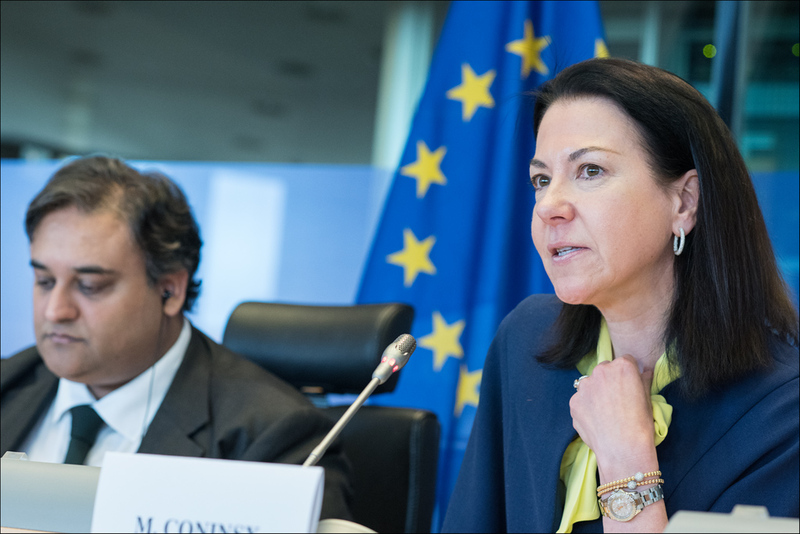 Ms Coninsx briefed MEPs on recent trends in the phenomenon of foreign fighters and terrorism and presented the development and state of play of the common judicial response facilitated by Eurojust, the EU’s judicial cooperation agency. On Thursday, MEPs will debate how to put a stop to foreign fighters in the context of the ongoing legislative work on combatting terrorism and on reinforcement of checks at external borders. Lead MEP on the proposal for a regulation on reinforcement of checks against relevant databases at external borders Monica Macovei (ECR, RO) will present her draft report to the Committee at 9.30-10.00. The proposal suggests systematic checks of EU citizens at the external borders and not only of third country nationals as is the case today. On Thursday afternoon, MEPs will go over the amendments on the draft report on combatting terrorism which proposes criminalising preparatory terrorist acts such as travelling for terrorist purposes (lead MEP Monika Hohlmeier, EPP, DE).